Orthodontics isn’t just about improving the aesthetics of a smile – a healthy smile is the end product of braces or aligner treatment working to correct bite imperfections that go far beyond crowded and crooked teeth. Bet you didn’t think we’d bring up digestion when discussing straight teeth! The truth is that when teeth are in correct alignment and able to contact optimally with the opposing arch – food is sufficiently chewed – making the digestive process more efficient with less pain and discomfort. Teeth that are tipped and therefore not able to line-up properly with opposing teeth, cannot provide the essential chewing surface needed to chew food. Consequently, food is gulped down in large, un-chewed chunks, resulting in digestive issues. Good digestion begins in the mouth and is at its best when teeth are in proper alignment. Dr. Chana at Ortho 101 explains that one of the biggest gains from straightening your teeth is reducing the risk of dental decay. Imagine trying to sweep around boxes that are not all on the same line – some dust just won’t be touched while other dust will actually get pushed further into the mix. Crooked teeth work the same way – super hard to brush and floss around, thus food remnants and debris gets left untouched or pushed further between teeth. The difficulty in keeping crowded and crooked teeth clean creates increased plaque formation and bacterial action. When oral bacteria in plaque feed off food debris, acids are released irritating gum tissue and eroding dental enamel. Over time, this weakening of dental enamel results in decay, which impacts the health of individual teeth and the mouth as a whole. As if indigestion and dental decay weren’t bad enough, crooked teeth may lead to increased risk of gum disease. Just like dental decay can easily start between overlapping teeth that constantly trap food, gum disease is a common complaint of patients who live with crooked teeth. The same bacterium that causes dental decay also irritates oral tissues causing gums to swell and bleed at the slightest touch. When teeth are straightened with orthodontic treatment, the health of gum tissue improves due to the increased ability to effectively clean teeth and gums. 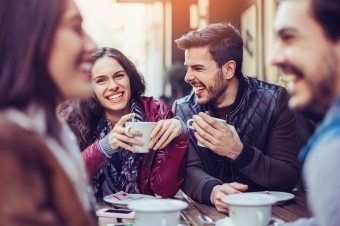 Orthodontic treatment such as braces or Invisalign can give you a healthy smile, but it can also give you better oral health and dental function. Thinking of straightening your teeth? 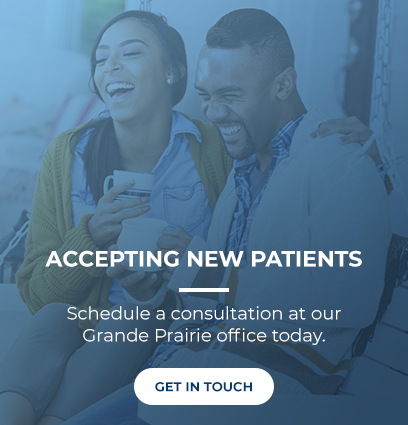 Talk to Dr. Chana, your Grande Prairie Orthodontist today!